Eagle Rock Entertainment has tabbed Apr. 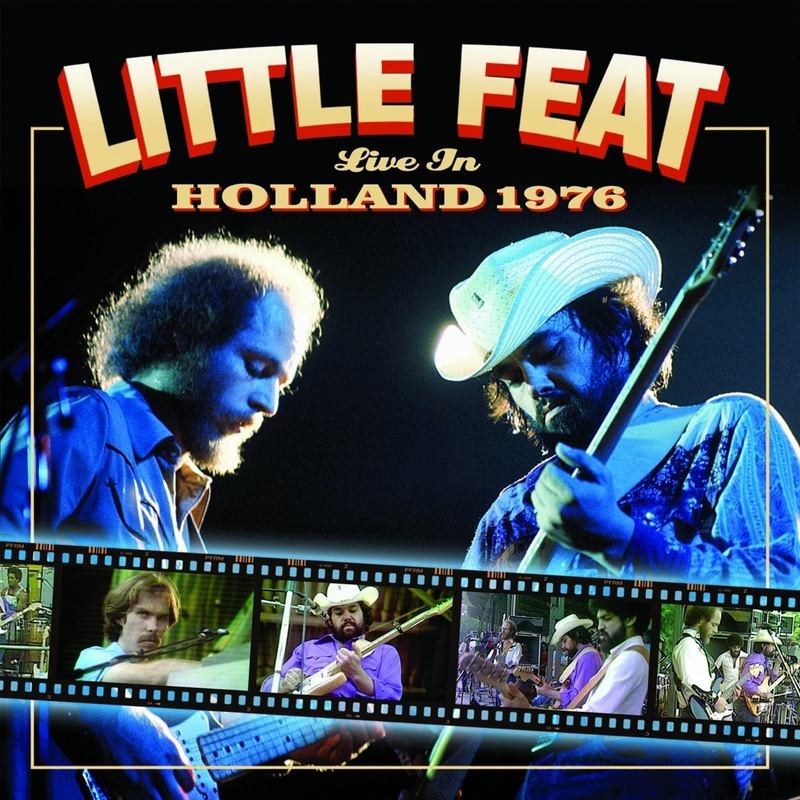 22 as the street for the DVD/CD Combo Pack release of Little Feat: Live in Holland 1976. Not previously released, this live concert was filmed during the Pinkpop Festival in Holland during the June session of 1976 (going strong since 1970 with a couple million fans attending — of note, the 2014 version this June features the likes of The Rolling Stones, Arctic Monkeys and Metallica). The group on stage that day was at THE height of their early “Lowell George” rendition of the band (he would die of a massive heart attack exactly three years later at age 34) and included founding members Lowell George and Bill Payne, plus the late Richie Hayward (died 2010), and Paul Barrere, Sam Clayton and Kenny Gradney (who all joined the band 1972 and continue to rock on with Little Feat).